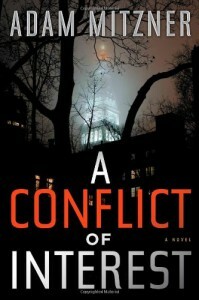 Article first published as Book Review: A Conflict of Interest by Adam Mitzner on Blogcritics. A Conflict of Interest opens with Alex Miller, a lawyer with a hot shot legal firm attending his father's funeral and meeting Michael Ohlig, a good friend of his father. Michael needs help in a securities fraud case that he is involved in and asks Alex to defend him. He has been accused of selling Salminol, a worthless stock to unsuspecting elderly people who then lost all they had when it went bankrupt. There is so much more to Ohlig, and it is revealed little by little with each turn of the page. The story keeps pulling you in deeper and deeper. I found it very hard to close the book for the night because I felt I was missing something. I had to read on and see if Alex would work on his marriage to Elizabeth that was falling apart or fall for the lure of Abby, the lawyer working with him on the Ohlig case. As the book goes on we find out that our suspicions were correct; there is much more to Michael Ohlig than meets the eye. There are also things about Alex's mother that come to light and cause Alex more than a little confusion and pain. And Abby: is she who she wants us to think she is, does Abby really have his best interests at heart or is she using him to work her way into partnership with the firm? All these questions are answered, but you have to read the book to find out. I won't spoil any of it for you. I found the book well written. The action slowed down in some places but never stopped. It goes from legal offices, to courtrooms, to restaurants, to bedrooms, to police stations, jails and so much more. 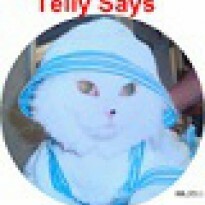 The characters are well thought out and very well developed. You quickly come to see them as your neighbors or friends and really do care about what happens to them.